Our Anti-Rat & Vermin Non-Return Valve stops rodents and noxious fumes from entering properties via the sewage system. This valve also stops the backflow of effluent into properties. Installation Service also available. Don’t fancy installing it yourself? 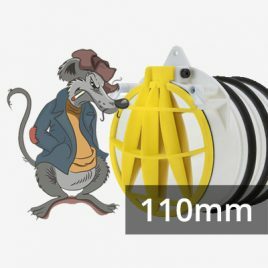 Then take advantage of our Rat Stopper installation service* @ £90.00 + VAT for the one and £45.00 + VAT each unit thereafter (up to 10 units).